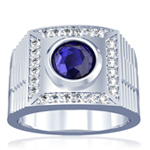 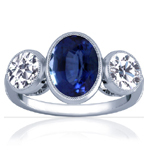 Add flavor to your Sapphire ring by accenting it with sidestones. 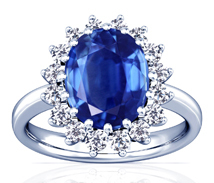 GemsNY delivers the latest sapphire antique rings, a must have for your jewelry collection. 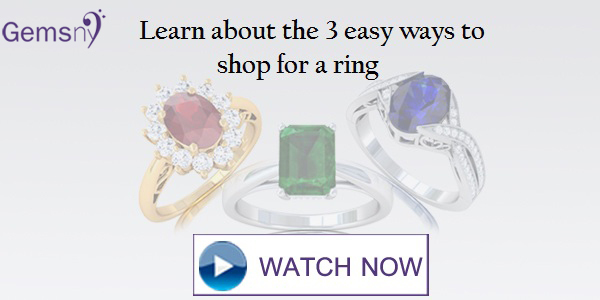 Designed to touch your finger, these joytish/vedic rings offer both style and positive energy at affordable prices. 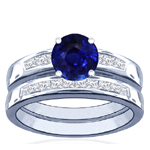 From simple elegance to stunning and elaborate settings, GemsNY's collection of sapphire rings for both women and men is sure to have a style you'll love. 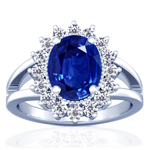 You can choose not only blue sapphire rings, but also yellow, white, or pink sapphires for the ring of your dreams. 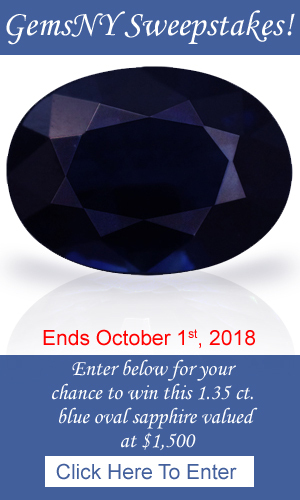 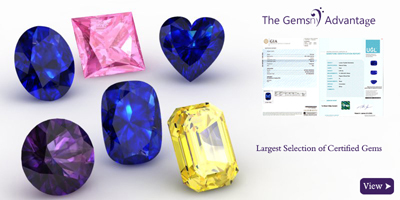 GemsNY only uses genuine sapphires -- you won't find anything lab-created or synthetic in our vast collection of certified, authentic gemstones that we source from all over the globe. 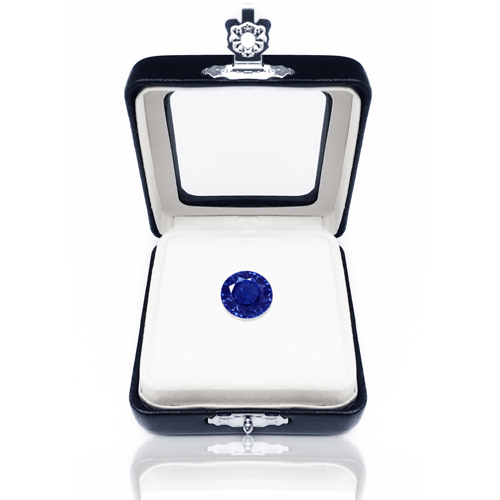 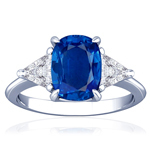 We offer both heated and unheated sapphires in all shapes, including round, oval, emerald and cushion cuts. 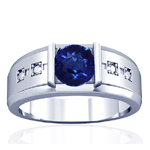 When it comes to the setting for your sapphire ring, we have a vast array of preset options, from engagement rings and wedding sets, to solitaires and three-stone rings, men's sapphire rings and more. 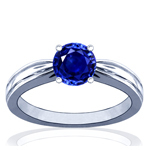 And our "Make Your Own" sapphire ring option allows you to create a personalized ring by pairing the perfect sapphire and designer ring setting of your choice. 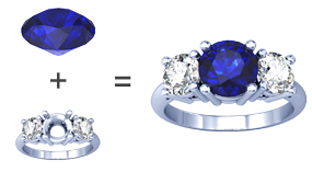 If you don't find what you're looking for in our preset sapphire ring styles or in the "Make Your Own" option, our talented jewelry design team can work with you to create a custom sapphire ring that brings your ideal style from imagination to reality. 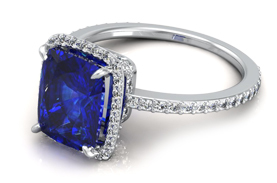 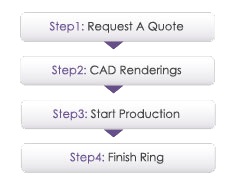 All of our jewelry is handcrafted to order in New York's Diamond District, and each piece comes with a free appraisal. 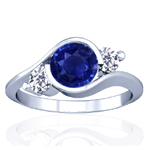 For the best selection of exquisite genuine sapphire rings at the best prices, choose GemsNY.